MANILA -- Department of Health (DOH) Secretary Francisco Duque III on Thursday welcomed the Senate’s passage of the PHP1.16-billion supplemental budget to help recipients of the Dengvaxia dengue vaccine, saying they can now “more confidently” provide the necessary treatment to those who may need it. “We’re extremely gratified by the Senate’s action approving the (anti-)dengue Dengvaxia supplemental budget, which is about 1.16 billion (pesos),” Duque said in a Rehabinasyon press briefing in Malacañang. “Finally, we will be able to more confidently provide the necessary surveillance, monitoring, treatment, interventions, and hospitalization for whoever among the population of close to 900,000 dengue vaccinees,” he added. According to Duque, the amount was demanded by the DOH from French pharmaceutical company Sanofi Pasteur about three or four months ago. It was later returned to the Bureau of the Treasury but needed the approval of both houses of Congress before it can be used. President Rodrigo Duterte, in this third State of the Nation Address (SONA), certified as urgent the bill granting the DOH supplemental budget to finance the medical assistance to Dengvaxia recipients. In May, the House of Representatives approved on third and final reading its version of the bill. The Senate passed its version on September 5. 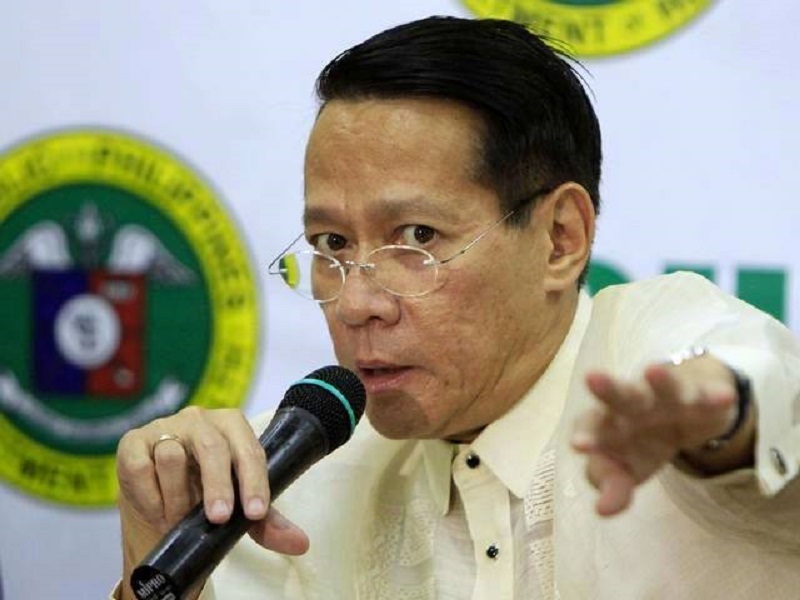 Duque, meanwhile, said the Office of the President (OP) will soon reveal the names of the Asian experts who would assess if the controversial Dengvaxia vaccine is harmful. “As soon as possible. These are experts, they have the technical proficiency to study, to review all documents, to put together a report,” he said. “Baka pagdating, mailabas na natin yung desisyon ng OP patungkol sa pagbubuo ng panel of experts na manggagaling mostly from the ASEAN countries (Perhaps when they arrive, we can release the decision of the OP regarding the creation of a panel of experts coming mostly from ASEAN countries),” he added. The health chief said as part of the presidential directive, members of the panel must come from countries where the Dengvaxia immunization program was also implemented. Earlier, Presidential Spokesperson Harry Roque said the Asian experts are coming from Vietnam, Thailand, Singapore, and Sri Lanka.